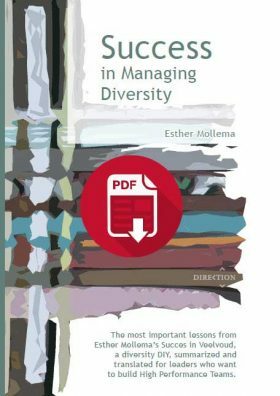 The most important lessons from Esther Mollema’s book Succes in Veelvoud (Success in Managing Diversity), a diversity DIY, summarized and translated for leaders who want to build High Performance Teams. 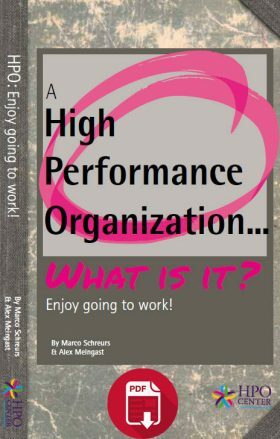 A High Performance Organization (HPO)… What is it? An HPO book for managers, team leaders and…employees! This booklet has been written with you in mind. The 35 HPO characteristics are all outlined in this booklet. Reading through this booklet you will soon realize that improving is not necessarily more time consuming, but that it is just about doing your work differently. You will notice that your work becomes more enjoyable because everything you do together fits and works better. We challenge you to make a start on building your own successful team and organization.